Plain WordPress blog theme is a clean and elegant theme for personal and professional blogging. The design of the theme is eye catching and it is built on the bootstrap framework. This theme is fully mobile responsive and compatible with all the browsers. This theme is easy to install and can be customize easily. The theme comes with and without side bar and has inbuilt social sharing buttons of Facebook, Twitter, LinkedIn. The theme has easy navigation and each post can be categorized into different categories. Plain Blog theme comes with inbuilt search box which makes users experience even better. * Social sharing buttons etc. Fi-Print Lite is a free to use multipurpose WordPress theme that looks great on business, creative, startup and corporate websites. It is the free version of the award winning Fi-Print Premium multipurpose theme available on ThemeForest. Featuring a unique blend of premium and simple design elements FiPrint Lite is built on the easy to use drag and drop website builder – SiteOrigin – so it is fully responsive, working 100% error free on any browser (cross browser compatibility). Also, it comes with demo data which you can install with just one click. This feature is usually found on paid themes only. Furthermore, Fi-Print Lite has social buttons, a clean code base a powerful control panel built on Redux Framework. Download this theme and use it for free on any of your websites. 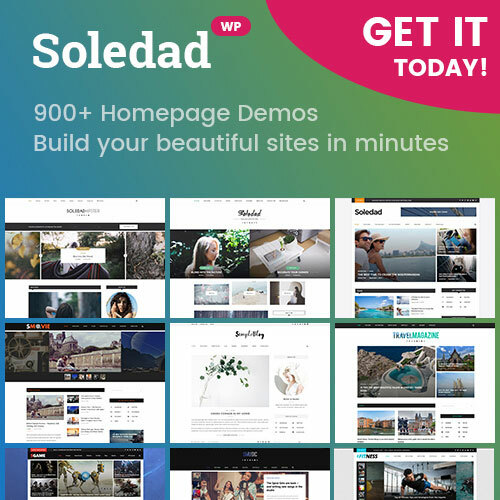 Compatible with many popular plugins such as Yoast SEO, MailChimp, Revolution Slider, All in One SEO Pack, WordFence Security, Google XML Sitemaps, W3 Total Cache, NextGEN Gallery and may more! If you are facing this issue means you have misconfiguration of DNS records in your mac. Please follow the steps to resolve your issue. 2. Navigate to Network -> Advanced -> DNS. 3. In the left side column add in the IP as 208.67.222.222 and 208.67.220.220. 4. Click OK -> Apply. Victoria Landing Page PSD Template is an excellent template for a number of projects. In its free landing page UI kit, you will come across 8 different sections. Through these sections, you can customize the ways the elements of the template are built. Alex Siminitzki is the author of this beautiful template. Steakville is perhaps the best template you can get when it comes to the restaurant business. There is a large number of sections that you can select to use for your personal projects. So, if you are planning to create a website that is food related, we would highly recommend that you use this responsive and user-friendly template. MovieRiseIMDB and Netflix inspired PSD template is perfect for someone who plans to start an online movie based website. It’s simple makes it easier for both you and users to manage, view and watch movies online. Since IMDB and Netflix inspire the template, then you should try out this amazing template. What an excellent newsletter PSD template. Hero responsive email newsletter template is simple, elegant and smart. The template allows you to create cool and nifty newsletters for all your products. The clean design and neat UI is what you need. RocketWay is the brain behind such as amazing email newsletter template. Looking for a PSD template that is perfect for showcasing any and every kind of services. You should try out the Service Website Template. Its clean design will make sure that your project gives an overall professional look. The author, George has done an excellent job with the service website template. This might be a generic PSD template, but it for sure does that mean that it won’t be tailored in accord to your specific needs. The Minimalistic Portfolio is simple and anyone can use it to create their very own website. The author of the template, Yuri has done a very good job. In search of an outstanding and cool news portal PSD template, we would recommend that you should give a shot to News Portal Template Kit. It comes with a number of features along with simple and elegant design. Monsterlele has done an outclass job with this template, you can be sure that you can find what you are looking for in this kit.